The San Francisco Cable Car Museum is located in the Washington/Mason powerhouse and carbarn on Nob Hill, at 1201 Mason St., and admission is free! 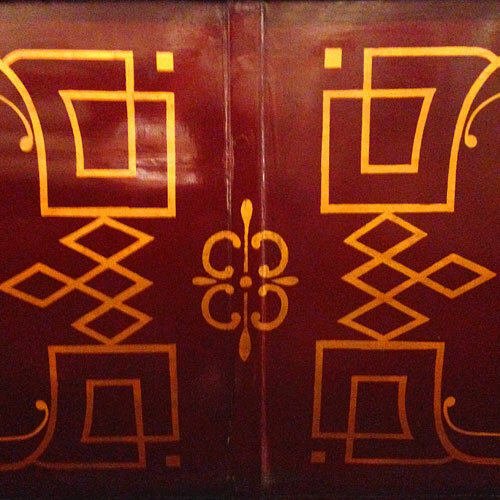 Located at 1807 Telegraph Ave. in the Uptown neighborhood of Oakland, CA and opened in 1928, the Fox Oakland Theater is a glorious mashup of Islamic, Indian and Medieval influences, along with a smidge of ArtDeco for good measure. Let’s take a closer look at the ornate façade, shall we? 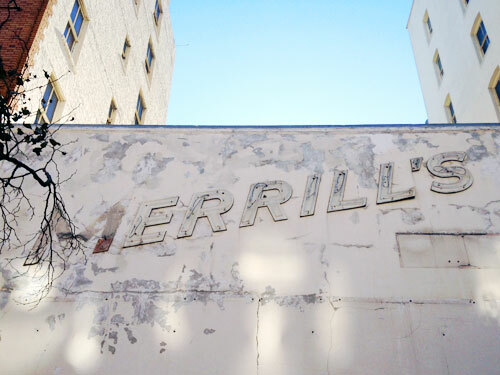 I spotted this white-on-white ghost sign for Merrill’s in San Francisco, on Market St. just off 7th. Judging the letterforms, I’d guess this was a sporting goods store or something along those lines, But I haven’t been able to find out anything about it.